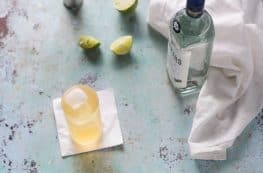 I love a cocktail made with a good orgeat, the classic almond syrup that’s essential to a Mai Tai, the Japanese Cocktail, and a staple of any tiki bar. You can buy the stuff commercially (my favorite is Small Hand Foods), but the good stuff is not cheap, and the cheap stuff is most corn syrup and artificial flavors that doesn’t even taste good. The good news is that making your own is very doable. I’ve made my own orgeat many times, sometimes even including cherry pits for the bitter almond flavor. The bad news is that most orgeat recipes I’ve come across require the almonds to steep in syrup for several hours, which isn’t difficult, but it’s not very helpful if you were hoping to make a bunch of tiki drinks, like, now. 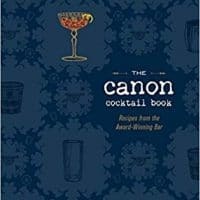 Enter a great little hack from Jamie Boudreau, whose Canon Cocktail Book is a great asset for anyone (especially those looking to create their own Amer Picon). Instead of starting with almonds, he starts with almond milk, makes a syrup with that, and punches it up with some almond extract and some orange flower water. It comes together in a few minutes on the stove, and it’s ready to use as soon as it’s cool (you could even use on the warm-ish side if you’re in a rush). And this quick and easy orgeat is nearly as good as other versions I’ve made. It’s not quite as complex as the results I get when I’ve steeped my own almonds, but the reward to effort ratio tough to beat here. It’s a nice trick to have in your back pocket, and a nice syrup to have in your refrigerator. Most orgeat recipes involve steeping almonds for several hours. This one cuts out that step by using plain unsweetened almond milk. 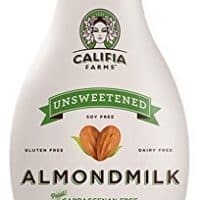 Be sure to look for a high quality almond milk with good almond flavor (I'm a fan of Califia Farms). This comes together in a few minutes and keeps in the refrigerator for several weeks. 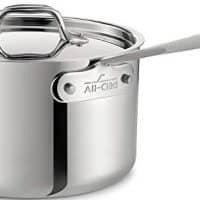 In a medium saucepan, heat the almond milk and sugar over medium-high heat, stirring until the sugar is dissolved, about 3-5 minutes. Remove from heat, stir in the almond extract, orange flower water, and cognac. Let cool. Transfer to an airtight bottle or jar and keep refrigerated. This sounds perfect to add to cocktails! 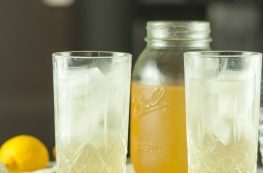 I had never heard of orgeat before this post, but now I really want to make some and make some cocktails at home! Thanks for such a helpful recipe! I’ve never heard of orgeat, but I love me a good Mai Tai so obviously I’ve had it before. Gives me a great excuse to make a batch a home. Love how much easier this is to make with your recipe! Can’t wait to give it a try. I’ve never heard of orgeat, but I’m totally intrigued!